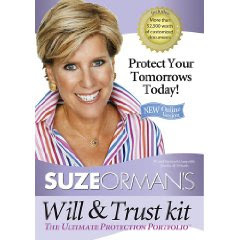 You can get Suze Orman’s Will & Trust Kit for free now through October 3rd. To get your free kit, click on the link on the sidebar. Click on the gift code and input 898989.